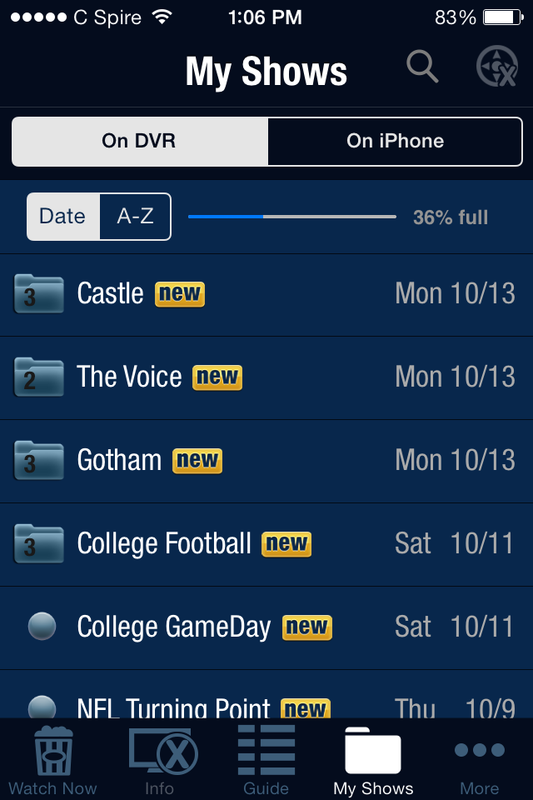 I keep thinking I’m a cord-cutter… and then comes football season. But then here comes August — and the College Football headlines… and NFL preseason — and I tell myself I can handle it. Nothing to worry about; I’m not even paying THAT much attention to the games. Look… I’m talking to people amicable during a pre-season Saints game. And then, about a week before the season starts, I’m suddenly sitting on the phone and online chats for the better part of a day trying like hell to get the SEC Channel to turn on by 7:00 p.m. that evening. But I digress. First things first… why did I go TiVo? The reason I went TiVo was simple — an extra $99 setup fee. That’s the price that Comcast tried to sneak into the conversation when I was upgrading the cable to a new package and opting at the same time to get a Comcast supplied DVR. When I was offered the “X1” package and all of the nerdy goodness that came with it, I was initially excited, until I learned about the fee. That’s when I got self-righteous and opted out, telling them to drop me back to a regular cable box — the one I already had. Have I now spent more than $99 on the tech I bought to circumvent that fee? Yes. Yes I have. But I think I may have an arguably better setup tech-wise, and I’ll be paying Comcast a little less each month in hopes of assuaging my guilty conscious for actually upgrading cable (ugh!) in the face of football season… despite my best intentions. Once I decided to go with the TiVo, I did come up with some other reasons. The TiVo offers support for Netflix and Amazon On Demand, meaning less switching to the Roku box; it supports Xfinity On Demand, which means I can stop paying for Hulu Plus, and it’s got all sorts of iOS bells and whistles that might make it fun for the long-haul. So how is all that working so far? What initially impressed me when I jumped back into the world of TiVo — a company I hadn’t thought about in years — was the marketing and packaging of the Roamio. The Roamio is a step up from the “geek-centricity” of their previous-generation products, with friendlier designs, an apparent focus on simplicity and some steps forward that worked specifically for me — like Comcast CableCard support. The Roamio Plus ($399) offers more capacity (double the HD storage) and built-in streaming to iOS and Android devices; something that requires an extra $129 TiVo Stream box if you opt for the base model Roamio. Still, I liked the idea of starting cheap (I got mine slightly used on eBay for around $120) and working my way up. First things first — I love the TiVo remote. (Right?!) People have lauded the remote for a while now, and now that it’s also an RF remote, it means it can change channels around corners and across the room. That’s particularly handy for me, because on game days I set up a second small HDTV in the kitchen (I’m the house chef) that uses a simple HDMI splitter and cable to show the same channel as the living room TV. Being able to record a show or change channels from around the corner is pretty cool. In fact, another justification for the TiVo was the idea that, in theory, it would simplify my home theater setup. That means Ms. D can turn the TV on and watch shows she wants without cussing me from across the room or across town by accessing the TiVo Central interface and jumping into live TV or a streaming service. In practice, there are some hiccups — the TiVo versions of the Netflix and Amazon apps are both less appealing than Roku, and the whole UI is nowhere near as slick as either Roku or Apple TV. I’ve also had the Amazon app crash on the TiVo, which I haven’t experienced on Roku or Apple TV; and the Amazon app has a known incompatibility with Amazon Prime, meaning no free shows on the TiVo; just rentals. I got around that problem with the Xfinity on Demand app, which also looks a little like Atari Pong, but at least gives me access to the HBO shows (The Wire, right now and Treme soon) that we were watching on Prime. One pleasant surprise has been the iPhone app — I’ve found myself “on the run” setting shows to record using the app when somebody mentions something important — so and so local celebrity has a segment on national news — and changing channels from the other room is also a great trick at parties. Since I don’t have the TiVo Stream I can’t watch videos on my iPhone (or download them, which is a potentially nice feature for taking shows to the gym) but I can grab my phone and manage or delete shows, which is pretty cool when I’ve got a few minutes to kill. Another surprise — from within certain applications, such as the YouTube application on iPhone or iPad, I can stream the video from the device to my TiVo, ala an Apple TV or Google Chromecast. I wasn’t actually expecting that feature (and, granted, I haven’t yet figured out the rhyme or reason of when it’ll work and with which apps) but it’s been handy when I’ve wanted to show a quick YouTube on the TV while the TiVo is up and running– just pause the current show (or live TV), toss the YouTube video up on the TiVo, watch, laugh at cats, move on. But remember — we’re talking about a non-standard configuration (CableCard in a non-Comcast device) and I wanted to do it myself without anyone coming to the house. Even though Comcast has a dedicated line for CableCard — and, to their credit, they don’t act like I’m breaking any laws by trying to use one — it still took a lot of back-and-forth to get as many channels to appear on the TiVo as I ultimately got. Everything else *basically* works… as I mentioned, there’s been a crash or two, and every so often a channel (usually a Sports Package channel) will flip over to the CableCard setup screen, which is also disconcertingly Pong-like. A quick punch of the remote has, so far, gotten those channels to kick right back in. I’ll admit that I remain wary of this Comcast-TiVo frenemy relationship — will Comcast continue to support Xfinity on Demand for TiVo? And, even if they do, will the UI be updated? Will CableCard access get better or worse? Right now the TiVo interface is a welcome upgrade over the digital cable box I had before it, but TiVo is going to need to keep working on both the cable side of it and the streaming apps to stay at least up to par with the competition. In my research (yes, research… it’s called being a “nerd”), I was disappointed to find that the Mac version of the TiVo Desktop Plus app has been discontinued some time ago; I was, however, pleased to learn of cTiVo, a freeware, open-source alternative that makes it possible to access your TiVo over a WiFi network and download shows to your Mac, encoding them in a wide variety of formats. Be warned — it takes a while… and some experimentation… and some storage space… to get a decent quality video from a TiVo’ed-show-turned-into-a-QuickTime video, but it does work, and it doesn’t cost anything extra, which is pretty cool. From your Mac you can get the video out to an iOS device (in theory; I didn’t try it, since all my devices are a little too maxed out on storage right now) or you can just store the video for playback on your Mac itself. So far I’m happy with the TiVo setup and I’ve enjoyed using it; considering I didn’t have a DVR prior, some of what I’m enjoying is simply the DVR features such as pausing live TV and scanning through commercials. The TiVo DVR interface is great, as are the multiple tuners. The guide is fast and channels change quickly; nothing there to get to irritable about. The streaming apps on the TiVo are a little disappointing, although the TiVo will search across those apps for shows and movies — including TV channels and Xfinity on Demand, which makes it a slight upgrade compared to Roku’s universal search. The remote is a little cartoony looking, but otherwise awesome. In the meantime, iOS already gets Netflix, Amazon, iTunes, XFinity, WatchESPN, etc., so there’s relatively little I’m missing. I have, alternatively, thought about the TiVo Mini ($149), which offers another Tivo experience for another TV in another room — although it requires a wired connection: Ethernet or MoCA (Ethernet over coax). Plus, service for the TiVo Mini is only $149 for a lifetime subscription. Wait.. what? Ouch, TiVo… we have to pay per box? How much was that X1 fee again? Awesome post! Very informative! 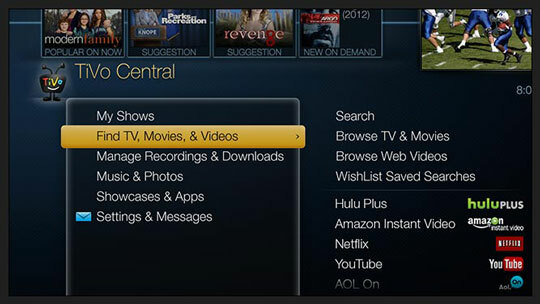 Can you use just a standard Comcast box with TiVo or do you have to use the CableCard? Thanks in advance. I believe you have to use a Cablecard… you install the Cablecard and then connect the Roamio to your coax cable; it essentially becomes your set top box. Everything works pretty well — I can’t get HBO through the box (I basically gave up since I can access HBO stuff through HBO Go) and occasionally you have to hit the reset button. Netflix, Amazon Prime and HBO GO are up and running and a Redbox movie when something watch worthy comes up… This is the scenario BEFORE adding local OTA channels. My location is 98008 and besides local news and weather/traffic I’m interested in my local teams; the Sounders and the Seahawks. This being said I started shopping for an antenna. First choice: Mohu Leaf 60 for $149 from any retailer. It worked out of the box, but not as advertised and expected. Second antenna: The “Amplified Outdoor Flat Multi-directional” from RCA for $69 at my local Lows store. Results where way better (in terms of more stable reception. The Multi-directional part is not quite “multi”, meaning that you still have to aim it very precise. I was able to get all my important locals to work flawlessly with the RCA, but not without moving it a bit. Next I got the “Clearstream 2V” also from Lows for $119 ($99 at BB). This one will give me all the wanted channels minus the most important: Q13 Fox, where all the games are :). TIVO Roamio OTA (BB price matched it to Fry’s price of $49, down from $79). I got also two TIVO MINI on sale from Magnolia (BB) at $114 each. The signal gets beautifully into the Roamio and is sent throughout the home after it was captured from the antennas. The MINI units work flawlessly and have the entire menu of the head unit minus the antenna set-up. The Mohu Leaf was returned and the other two antennas are here to stay. I wrote this up for those who are looking for alternative ways to the general robbery called cable or dish.